The balanced scorecard is a strategic management system used by non-profit organizations, businesses, governments and industrial corporations from all over the globe to align their business activities to the overall strategy and vision of their organizations. We all know that business success, whether public or private, is ultimately down to performance. Hence, managing and measuring that performance is vital for any organization that wants to thrive in its niche or industry. 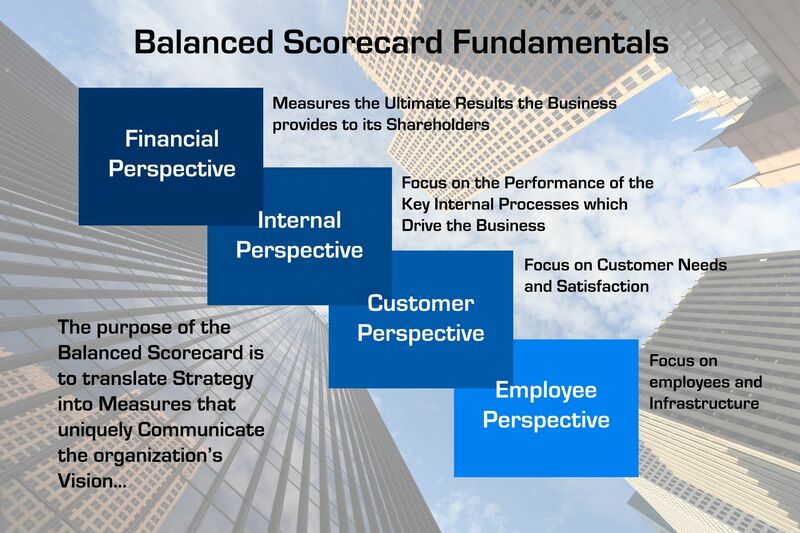 This is where the balance scorecard comes in, making sure each business is described from an organizational performance standpoint. This groundbreaking system was developed more than two decades ago, in the beginning of the 1990s, by two famous and eminent doctors from the Harvard Business Scholl – David Norton and Robert Kaplan. In the following years, this concept was greatly improved, becoming much more than a simple measuring tool. 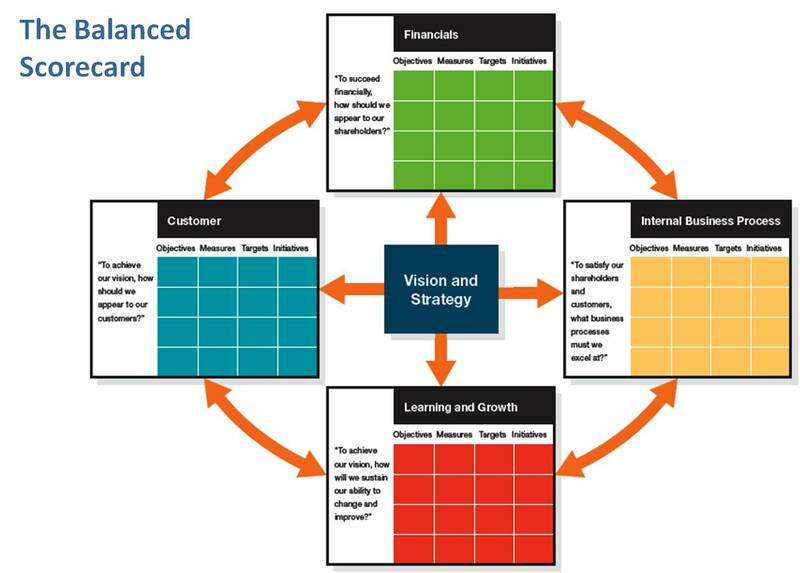 In addition to measuring the strategic and financial goals of an organization, the Balanced Scorecard has been perfected to become a complete management system which enables organizations to clarify their strategy and vision in order to become successful. This management system enables your business to set. trace and ultimately achieve your objectives and strategies. After you develop your business strategies and goals, they can be set and tracked using the Four Legs of the Balanced Scorecard. Each leg deals with a distinct business perspective. These legs are the Financial one, the Internal Business Process Leg, the Customer Leg and the Education, Knowledge & Growth Leg. Today’s managers and business executives may use these legs to plan, implement and reach all of their business strategies, regardless of the level of difficulty or complexity. Norton and Kaplan have not disregarded the need for financial data. Accurate and timely data is always a priority, being paramount for managers who want to get the complete picture. With the implementation of a large corporate database, the financial leg aims to automate processes. The financial leg tracks your business financial performance and requirements, including return on investment (ROI), cash flow, financial results (quarterly and annually) and return on capital employed. More and more, managers and researchers are coming to realize the huge importance of customer focus and customer satisfaction. If customers are not happy with your company, they will eventually migrate to the competition. Hence, poor performance from the customer perspective is an indicator of decline. Some of the areas assessed by this indicator include customer retention rate, delivery performance to customer, customer percentage of market, customer satisfaction rate and quality performance for customer. This perspective allows you to measure customer process needs, requirements and procedures. Metrics based on this leg allow you to know how well your business is running and whether your services and products conform to your company’s mission. Some of the areas that relate to internal business processes are process automation, process bottlenecks, duplicate activities across functions, number of activities per function and process alignment. This perspective focuses on teaching you to educate your employees, how you gain knowledge and how you can use this knowledge to maintain an edge in your niche. This leg deals with subjects like job satisfaction, training & learning opportunities for your employees, employee turnover and level of expertise for the job. According to Norton and Kaplan, learning is considered a much more important criterion than training. Additionally, they emphasize the importance of using high performance work systems (or technological tools) in order to create a better work environment. Each of these unique perspectives or legs is inter-dependent. In other words, you need to improve all of them in order to reap the benefits of Balanced Scorecard. Hence, these four legs have to be analyzed and improved together, on a regular basis, in order for your company to thrive. Ignoring one of these legs is like sitting on a four-legged stool with one broken leg – an impossibility. You will eventually lose your balance and fall to the ground, flat on your face. In addition to measuring these legs, you should be prepared to set measurable objectives, goals, strategies and tactics. Additionally, you need to ensure that all these goals and strategies are congruent and can work together perfectly. The first seven steps, which are strategy, assessment, strategy map, objective, performance measures, automation and initiatives, relate to building your personalized scorecard and implementing the metrics. The 8th step, which is cascading, is probably the most important of them all, involving aligning the whole management system across the entire organization. Lastly, a culture of evaluation has to be established in order to ensure that this system is keeping up with the evolving needs of your organization. The main benefit of this system is that it reflects all the elements that define a company’s functions. This powerful management system also helps you study those areas where performance measurements are not normally present. However, there are a few downsides to using balanced scorecards. Scorecards tend to evolve into complex management instruments. Moreover, maintaining these scorecards is a daunting task which can take large amounts of time. In a nutshell, the Balanced Scorecard is a very good management assessing tool that allows managers to make positive changes in their organizations and complement smart strategies with smarter implementations.